A bit cumbersome this weevil swims through the water. 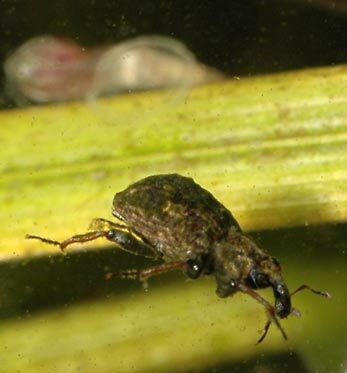 There are quite a few weevils who live under water. Many are bound to a specific water plant. Unfortunately they are hard to distinguish from each other.